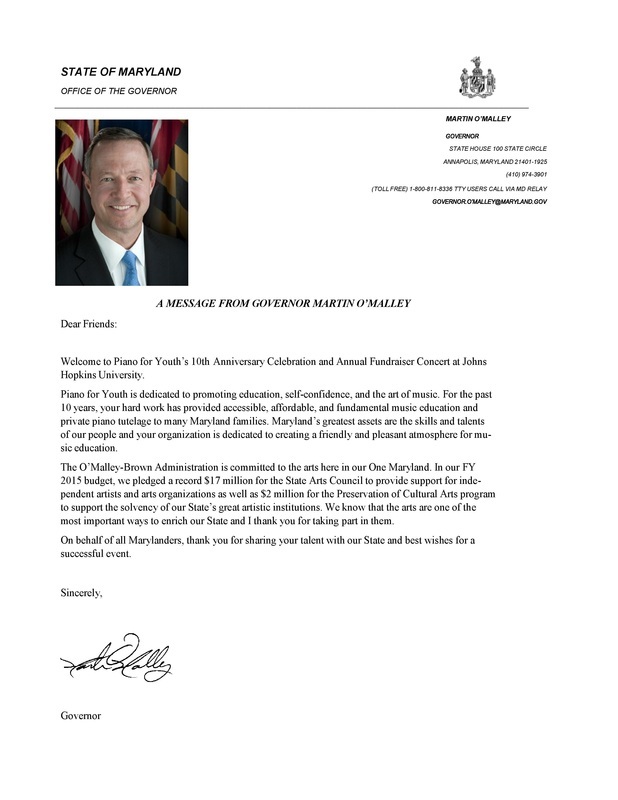 Piano for Youth - 15th Annual Gala! 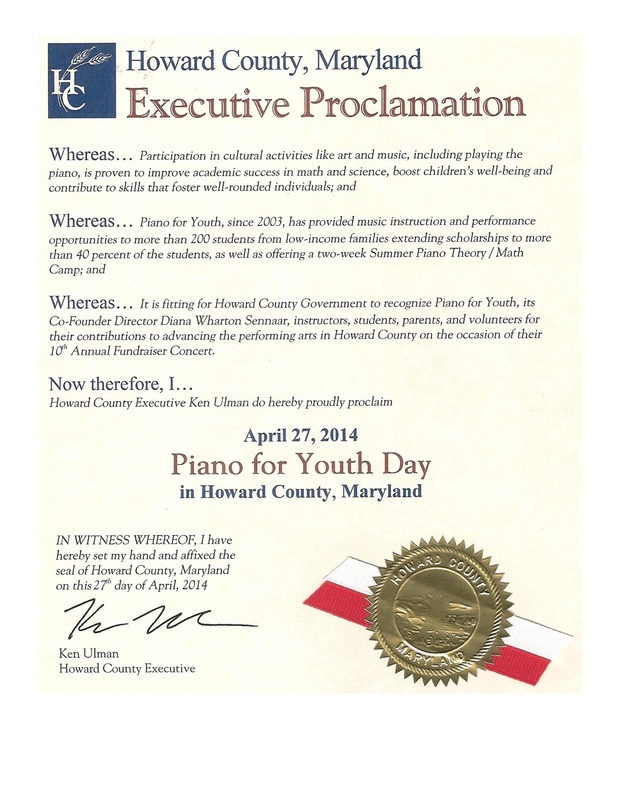 Piano for Youth - Summer Piano and Math Camp featured on WMAR-2 News! Join the Waitlist for New Students! In mint condition - $600 - First come, first served! UNICEF, Vomoz and CURLS are proud supporters of the 13th Annual Gala! Piano for Youth © guides students into realizing their full potential through music education, community service and public piano performances. The organization was founded in 2003, under the direction of award-winning, Broadway composer Diana Wharton Sennaar. A prolific music educator and former Howard County Public Schools music teacher, for more than a decade she has taught over 200 students by traveling directly to their homes in Anne Arundel County, Baltimore City, Baltimore County and Howard County in her home state of Maryland. Piano for Youth’s schedule of public performances includes an annual fundraiser held at Johns Hopkins University for the past eight years and an annual Summer Music Theory & Math Camp which expanded in 2011 to include math instruction.